[…] Immersed in leisure while automated bodies scurry around carrying out our daily routines and work, we devote ourselves to spiritual and cultural augmentation, cultivation of our creativity and fitness. Everyone is familiar with such kind of phantasy of automation. It is, of course, accessible to only part of the future post-working class. 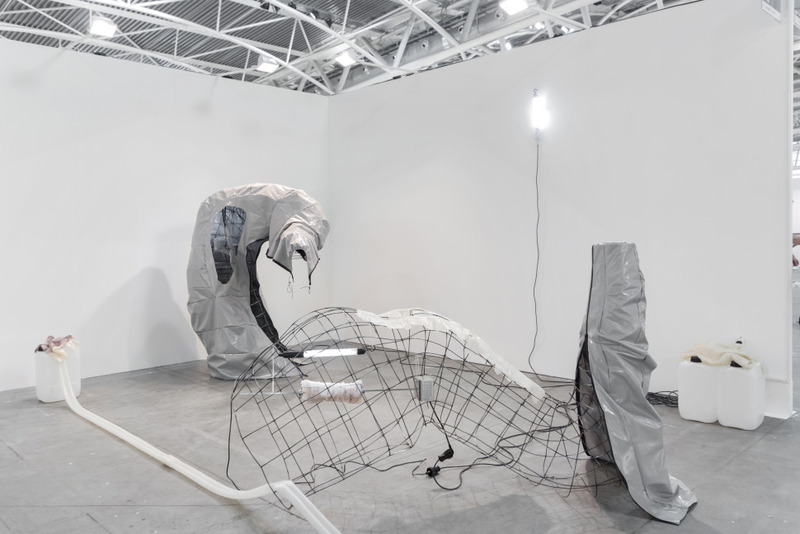 EXILE is pleased to participate in →ARTISSIMA art fair in Turin with a solo presentation by artist-duo Pakui Hardware selected for the Present Future section by curator Cloé Perrone. 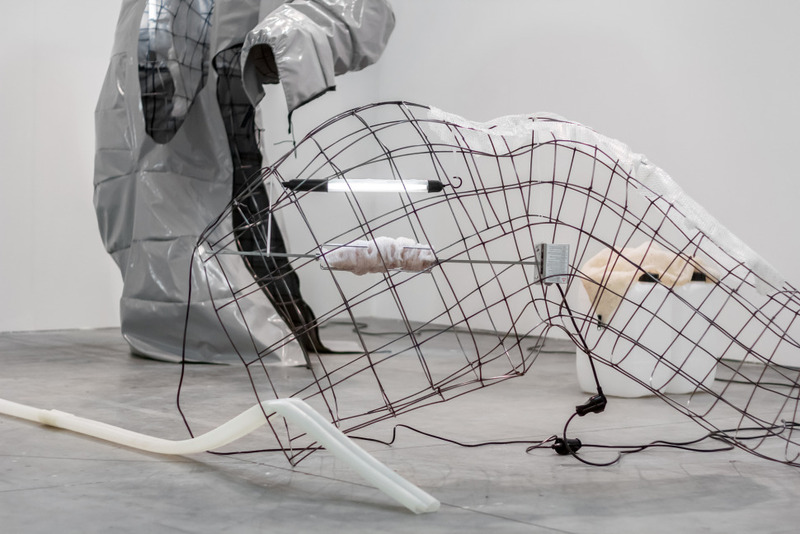 The object-based installation entitled Creatures of Habit was first shown at SIC Space in Helsinki and will travel next to Trafo Gallery in Budapest. Pakui Hardware is a collaborative artist duo founded in 2014 by Neringa Černiauskaitė, born 1984, and Ugnius Gelguda born 1977. Pakui Hardware has intensively worked on tracing movements of capital through bodies and materials by highlighting friction between the velocity of technological and scientific development and human response thereto. The name Pakui Hardware refers to Pakui, a Hawaiian Goddess, who circles Oahu island six times in a day. Thus Pakui Hardware is also obsessed with speed and investigation of high-speed cultural encounters. 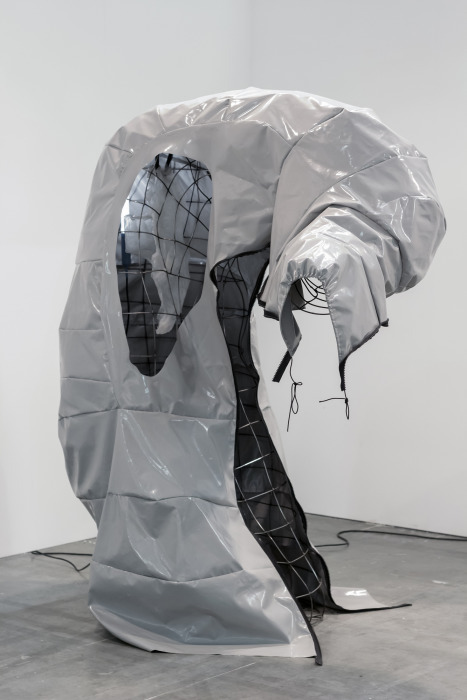 The duo’s work span around the complex relationship of materiality, technology, economy, and how technology shapes economy and physical reality, including the human body. 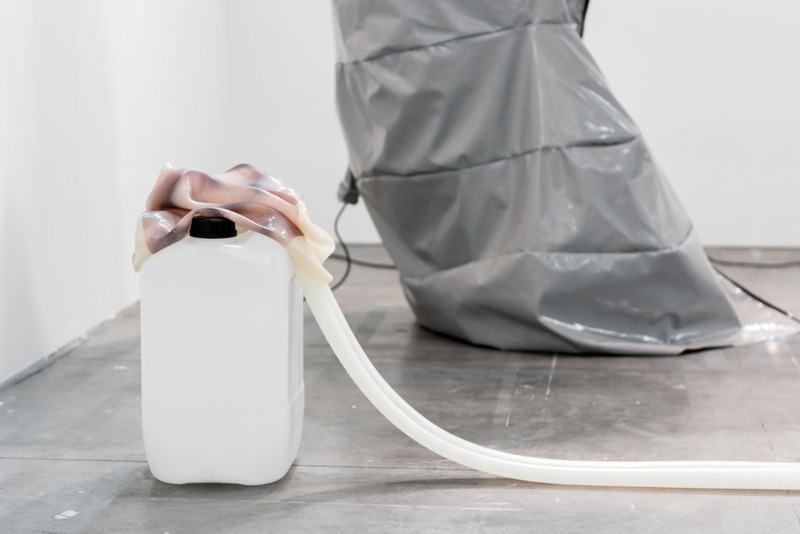 Pakui Hardware held recent solo exhibitions at SIC Space in collaboration with Kiasma, Helsinki; MUMOK, Vienna; kim? Contemporary Art Center, Riga; →EXILE, Berlin, and, upcoming, at Tenderpixel, London. The duo has participated in group exhibitions at Kunsthalle Basel; Kunstverein Braunschweig; Trafo Gallery, Budapest; Kunstverein Freiburg; 20th Contemporary Art Festival Sesc_Videobrasil, São Paulo; National Gallery of Art, Vilnius; Assembly Point, London; and will participate in 2018 at the XIII. 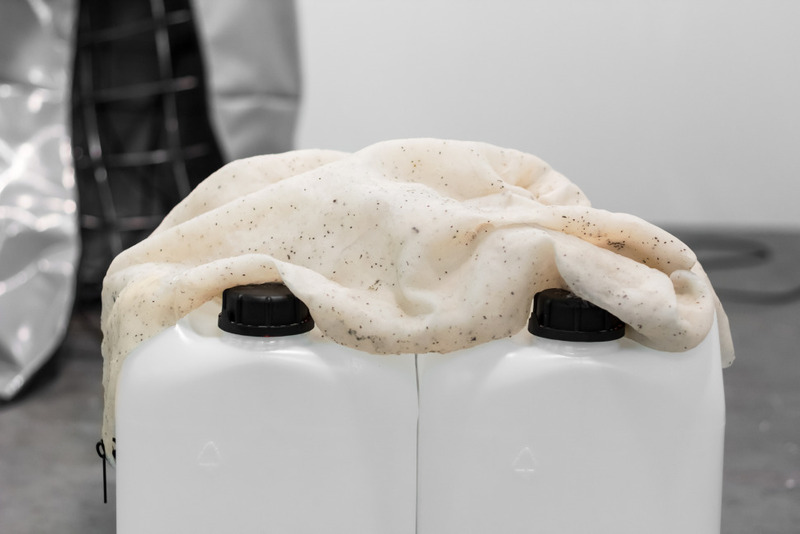 Baltic Triennial, curated by Vincent Honoré at the Contemporary Art Center (CAC), Vilnius. *Excerpt from →Pakui Hardware: Fire, Water and Other People Working. For further information on the artists please also visit their website →pakuihardware.org.